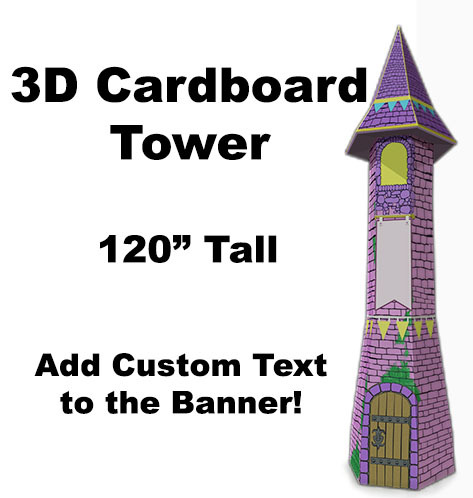 3D Cardboard Tower - Dino Rentos Studios, INC. This 3D Cardboard Tower Prop is in full 3D. It measures approximately 120" (10 feet) tall. Comes complete as a kit. Assembles in 45 minutes to 1 hour. Made of printed cardboard. This tower prop is perfect for stage, theater, and retail displays. Call for more details.